I see a lot of questions asked in Cbox or around the site about how to customize figures. I know there's plenty of us who do our own work, whether it's clothing, armor, repaints, or other custom work. And even more people who want to get started but dont know where to look. I made this thread for both newbies to making customs and the pros who have been making figures for a long time. Here we can share questions, advice, plans for future customs, and anything else related to customs. Have a custom need you cant pull off? If someone else can do it (and wants to) you can ask for it to be done here. No guarentees someone will take the offer though. My Tool Kit: Dremel (Ask me for which bits I use), Exacto Knife, Wire Cutter, Aves Apoxy Sculpt, Testors model and miniature paint, A whole load of old action figure parts from old toys I no longer use and dollar store toys I found. Last edited by OHWceta on Wed Jan 11, 2012 1:19 am, edited 1 time in total. I like the Omegamon Shinki idea (there's no Omnimon ). What would you use? Sculpt from scratch? The D-Arts? The Digimon Reboot model kit? Other figure? The Model kit would be easiest. I have one but I dont really want to cut it up for kitbashing, and they're pretty hard to come by. In fact anything Omnimon is hard to come by, it took me forever to get the collection I have. Of course it'll be hard to find anything if you search for "Omnimon"
The model kit is backordered on HLJ if you want another one. Sometimes backorders work. As for non-shinkis, do you know any figure lines that work well together scale and articulations wise? Then American lines like DC Universe and Marvel Legends really lack females but have plenty of male characters for customizing. Articulation is important because I dont want to make a set of characters where for example the male has as much articulation as.....a bandai DBZ figure (3 points of articulation), while the female has like 20 points of articulation. And Scale because I dont want to have like all the females in my series shinki size while the males are made from 3.5 inch figures. Shinkis fit somewhat well with 1/12 figures, though this scale really lacks males and Shinkis are a bit bigger. There are non-scale figures like SHFiguarts that fit better size-wise. That is, if you forget that Shinkis are 1/1. Every collector action figure these days have decent articulation, there's no such thing anymore as a statue with some single-axis articulation. 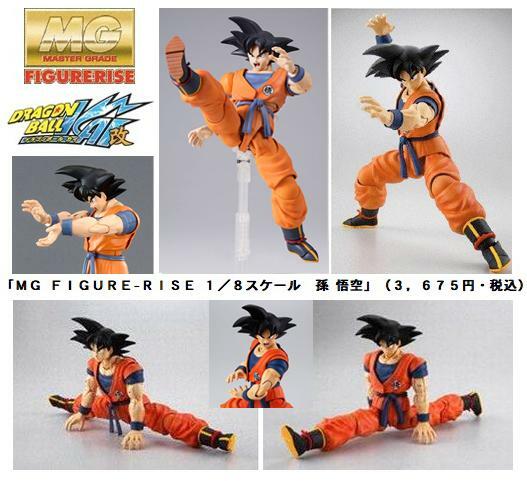 They also made a couple of 1/8 Goku model kits in their MG Figurerise line (Normal and battle damaged Super Sayan. Vegeta and Trunks, which had prototypes shown, are seemingly cancelled). When it comes to customization, I am a bit hesitant on. Yet, there is always Busou Shinki and their naked body ones that one can use for customization. Just take a look at my brothers. She is a wave 3 short naked body that we are making into the gundam girl related Kampfer Girl. I have plans to make a couple of scratch-built custom gears (and a few heads, for insurance) out of epoxy resin. I've done something like this before, so it shouldn't be much of a challenge. The problem is, the MMS Naked (or anything MMS-related) is rare as heck in my country. I don't want to ruin what could possibly be the only blank MMS I will ever have with a botched paintjob. What would you recommend? 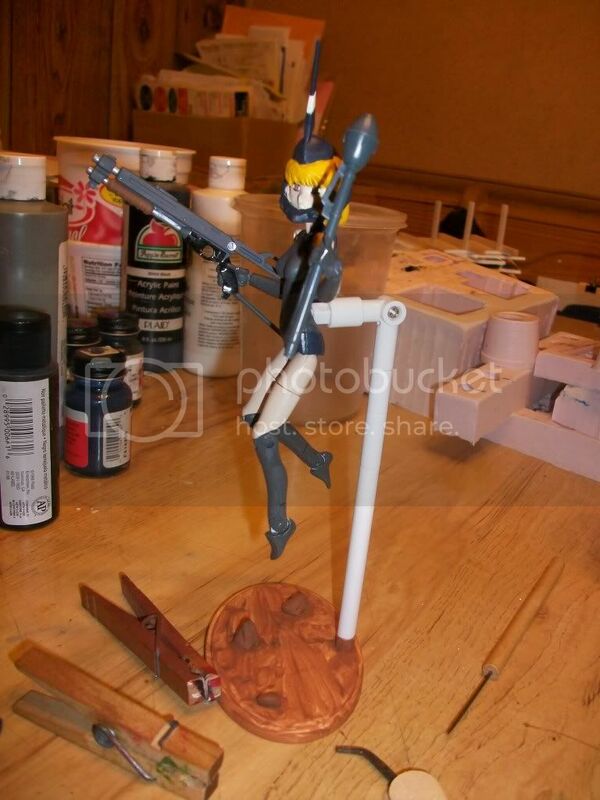 I've seen people use acrylic for this kind of plastic, though most of my friends use them for gunpla. Or maybe I should grab a few... *ahem* ..."figmas which didn't quite make it through QC" and use them for customization instead? Oh, yes. And about the paint. Is acrylic paint fine for this kind of plastic? Or do I need to invest in those modelling paint? I could find some Tamiya paint, but they're a bit expensive. Adventwings wrote: Oh, yes. And about the paint. Is acrylic paint fine for this kind of plastic? Or do I need to invest in those modelling paint? I could find some Tamiya paint, but they're a bit expensive. Acrylic works fine for plastics, especially if primed properly. The brand I use on my customs is Bosny acrylic epoxy spray paint, mostly because they are universally available where I'm from and they're cheap.